The Dakar Rally has confirmed that the 2020 edition will take place in Saudi Arabia, as previously reported by Autosport. Event organiser ASO confirmed the move on Monday and officially marking the end of the rally’s South American era, which began in 2009 after a move away from Africa. The agreement with the Saudi authorities is believed to be for five years and brings much-needed financial respite to the ASO. 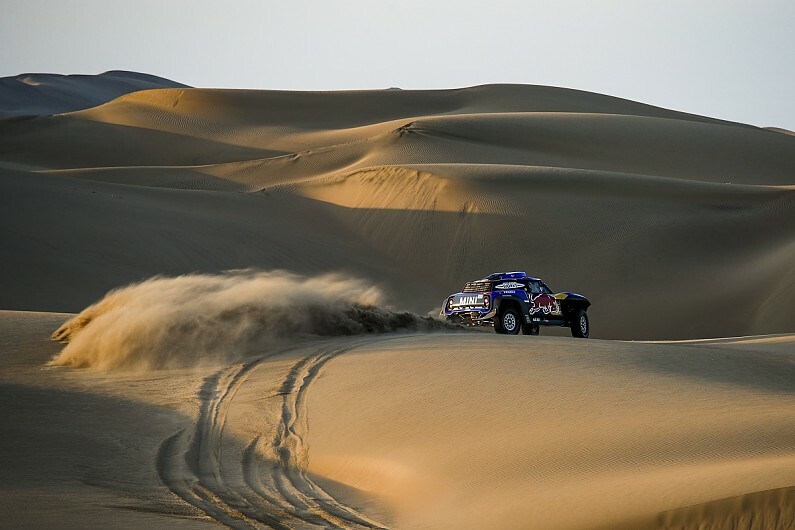 The ASO had to hastily assemble a 2019 route situated entirely in Peru after the late withdrawal of both Bolivia and Chile in the first instance of the Dakar running entirely within one country. David Castera, who assumed the responsibility of Dakar rally director in March, said: “It is a real pleasure to have to create a race in such monumental geography and proper one to the most daring routes. Saudi Arabia can offer 1.4 million square miles of desert for the Dakar route. The ASO will reveal more details of the 2020 Dakar Rally on April 25 in Al-Qiddiya. Al-Qiddiya is near the Saudi capital of Riyadh – which hosted the 2018/19 ABB FIA Formula E season opener. Saudi Arabia is increasing its involvement in motorsport, having also hosted the FIA-backed Middle East Rally Championship.